The production itself is directed by Jamie Watkins and conceived by Alice Allemano and Christopher Hirsh of theater company Masterfool. But the brains who put this site-specific Shakespeare imagining into motion are Miriam Thom and Caroline Spearpoint, co-founders of FoxWolf Productions. 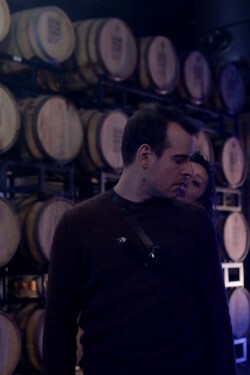 The two, who set out to do mainly video work but soon became drawn to event production as well, produced their first theatrical endeavor last summer when they were hired by Gowanus warehouse space Redwood Studios and decided to program a theatre production appropriate for summertime. The result was a delightfully woodsy version of Shakespeare’s A Midsummer Night’s Dream: attendees entered through the treehouse-inspired space’s garage door into a forest of sorts, which was also the site for a music-filled afterparty. The show continually sold out and received glowing reviews. For their winter production, they’re taking on the Bard again. “We wanted something really seasonal,” says Spearpoint. “We got together and thought, which play is wintery? And we chose Macbeth.” The cast also harbors a passion for Shakespeare; some of them appeared in FoxWolf’s previous production while others met through a Shakespeare group. “We’re not a well-known theatre company yet, so doing something that people know and to create an adaptation of that really helps people to come on and understand and be excited about it because they already know the story,” says Thom. 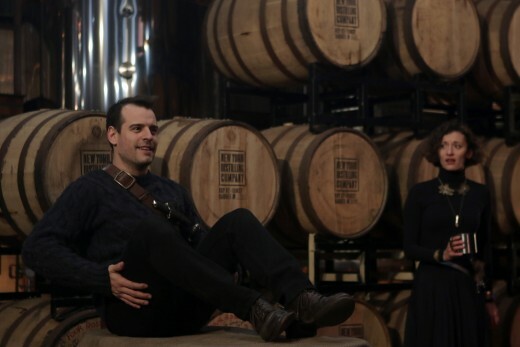 “Distilleries really popped out to us. There’s something about the materials and the organic nature of it. We were like, ‘This makes sense.’ There are fourteen in Brooklyn, now we have found the perfect one,” Thom explains. They happened upon New York Distilling Company through Airbnb-esque event space finder Splacer, and a match made in whiskey-soaked heaven was born. “[The owners] are also really big theater fans, so they were thrilled and excited to be a part of it,” she adds. “They really worked with us.” The two also told me that they went around to local businesses to spread the word about their production, and everyone seemed highly interested. The production, and subsequent afterparty, feature an original musical score by composer Zac Selissen that will be performed live by Selissen, accompanied by Pablo Lanuguere on upright bass. “He’s also reacting to the space,” Spearpoint tells me. “He’s been using musical instruments and experimenting with them, how they play off of the copper, or hearing how drums echo in the space.” The score incorporates elements of classical, tango, and experimental music, and also features mandolin and classical and steel string guitars. Amidst all this entertainment, these folks have not forgotten to stay true to their venue. Before the show, attendees will receive a hot toddy as they get to their seats. After the show, the actors and audience will mingle at The Shanty and partake from an open bar of four custom Macbeth-inspired cocktails, crafted by barman Nate Dumas specifically for the show. And what of the inevitable Sleep No More comparisons? “I think that Sleep No More is so loosely based off of the story. You wouldn’t particularly know it’s Macbeth; it’s a totally different experience. This is a true adaptation,” says Spearpoint. And notably unlike Sleep No More, a ticket to this experience is only $35. 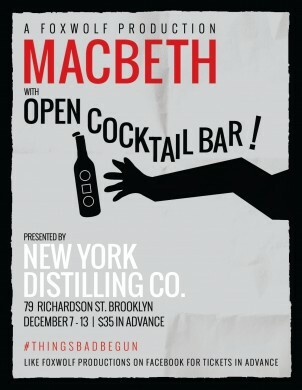 FoxWolf Productions presents Macbeth: Things Bad Begun, directed by Jamie Watkins and conceived by Masterfool, opens tonight and continues through December 13 at NY Distilling Company, 79 Richardson Street, Williamsburg. 7pm. Tickets are $35 advance, $40 at the door and can be purchased here. More info here.